GeniAus: Accentuate the Positive Geneameme 2017 according to Geniaus. Accentuate the Positive Geneameme 2017 according to Geniaus. 2017 was a bit of a roller-coaster year in the GeniAus household and I was unable to devote as much time as I would have liked to my geneapursuits. 1. An elusive ancestor I found was ... they are all still in hiding but thanks to DNA I found some new and reconnected with a few old cousins. Sharing has helped us build up better pictures of our ancestors. 2. A great newspaper article I found was in the Limerick City Library Local Studies Collection. From the Limerick Chronicle that is not available online I found a short report on the crime of Grand Larceny that sent my 3x Great-Grandmother, Ellen Moore, in 1825 on the ship Mariner to the penal colony in New South Wales. 3. A geneajourney I took was my annual pilgrimage to the geneamecca, Salt Lake City, for the Rootstech Conference. I also took time out from a holiday in Ireland (See #2) to do a bit of ancestor hunting. 4. An important record I found was when I was tidying my downloads folder I found a few digital records I had downloaded when visiting various repositories (I won't say how long ago). I am pleased to report that these are now safely housed in their correct places and the details from them entered in my Family Historian database. 5. A Several newly found family members (Via DNA) shared documents, certificates etc from their branches of family trees. 6. A geneasurprise I received was that several family members graciously volunteered to spit and scrape for me and another grandchild asked to be tested so that she can find out about her paternal side. 7. My 2017 blog post that I was particularly proud of was all of the posts in the Geneadictionary, because it's fun doing something a bit quirky. 8. I made a new genimate who shares one of my more colourful ancestors. We have been collaborating with other descendants via a small closed Facebook Group, slowly going over the research we did years ago and trying to build up a clearer picture of the life of this ancestor. 9. A new piece of technology I have nearly mastered was my new Galaxy Note 8 smartphone. After having to replace my explosive Note 7 with a phone without a stylus I was at the top of the queue when the new Note 8 was released. I am loving this new device. 10. I joined The Lake Macquarie Family History Group which is near our new home north of Sydney. I also joined several genealogy groups on Facebook. 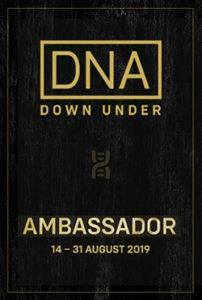 I mu give a shoutout to Using DNA for Genealogy - Australia & NZ Group. 11. 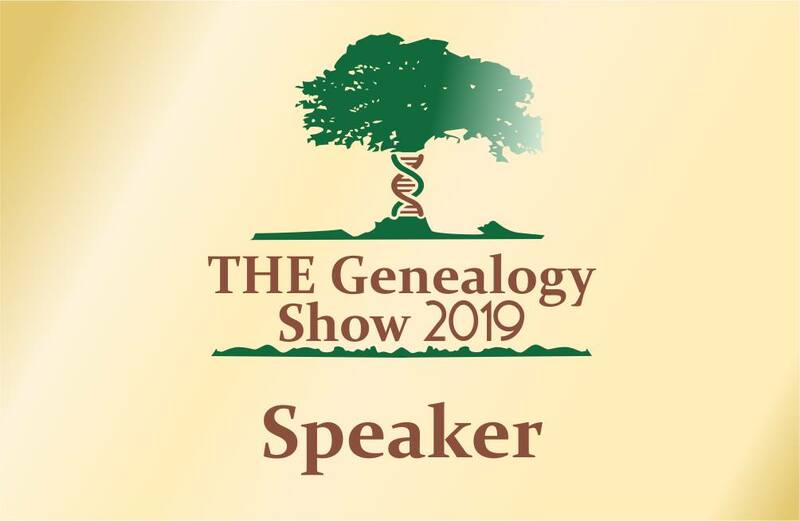 A genealogy event from which I learnt something new was I always learn something new but I learn more at some events than at others. I found that something just clicked when I heard a DNA webinar presentation from Louise Coakley. 12. A blog post that taught me something new was from Jenny' Joyce's Jennyalogy blog. As I have a particular interest in words I was pleased to learn about the role of a Reeve. 13. A DNA discovery I made was that DNA has confirmed that I am on the right track with most of my traditional research. It is pleasing to know that those close to me who have tested are also biologically related. 14. I taught a genimate how to ... hopefully some of the attendees at my presentations learnt something new. I think that I enthused a few people to blog and believe that I taught Trove tricks to quite a few. 15. A brick wall was not demolished but I am still chipping away. 16. A great site I visited was Hornsby Library's Hornsby Shire Recollects which promises to be a valuable resource for local historians now and in the future. 17. A new genealogy/history book I enjoyed was The Missing Man: A Morton Farrier novella by Nathan Dylan Goodwin. While I read several interesting books that taught me something this work of fiction was one I read for pure enjoyment and I couldn't put it down. 18. It was exciting to finally meet The Property Brothers at Rootstech and hear the keynote about their family. 19. 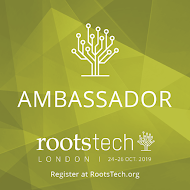 I am excited for 2018 because Rootstech and Congress 2018 are coming. I know I will learn much from these events and be invigorated for geneactivities through 2018. 20. Another positive I would like to share is ... I have a small role on the GeneabloggersTRIBE team. 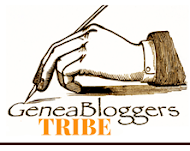 I am so proud to be involved with this global group of geneabloggers who are sharing theri time and expertise to promote geneablogging.